If you’re looking for a summer soundtrack to which you can move and groove, look no further than The Lovely Noughts. 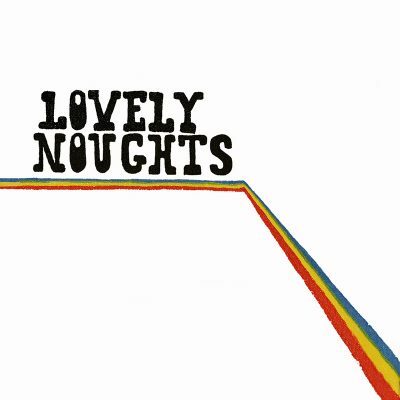 The Lovely Noughts are a local rock n’ roll trio who just released a self-titled full-length album. The intoxicating release blends genres over 11 tracks, often diving into instrumental jams, with some tracks lasting over 10 minutes long. Drawing inspiration from legendary ’60s and ’70s rock bands, The Lovely Noughts dive into the funky rock that can roll through the ages. The album opens with “Ride of Change” and a cool-moving instrumental intro, lasting about a minute before any vocals come in. The music begins with a calculated one-two rhythmic riff on the electric guitar and bass, building the drums while a subtle, quick-picking electric wail prefaces the growing, quicker-paced beat. The trio harmonizes, sometimes suddenly slowing in a low-note hum, in a drawn-out, Jim Morrison kind of way. “If I Were The World” is the album’s shortest track, yet it stands out against the rest. While the song starts out with foot-tapping percussions and a controlled electric frenzy, it doesn’t take long for it to slow to a moderately paced head-nodder rather than a head-banger. As the vocals interject, they sing, “If I were the world / From the desert to the sea,” then speeds up again to, “There is a devil behind the face of mystery,” only slowing again to croon, “Is it called love / Oh love.” The unexpected rhythmic shifts leave a winding turn at every note, adding an aesthetic charm to the accompanied and enthusiastic oooohs. Many songs like “Prison Song” and “Walk With Me” are downtempo and lure in listeners before delving into the rocker’s lyrical and poetic lament of life, love and death. “Walk With Me” is a happier-sounding song compared to “Prison Song,” conjuring a dream-state with distorted high-note guitar riffs. The song swings from dreamy to active rock n’ roll about halfway through the track. A bass riff somewhat divides one style from the other, leading toward the rockier tone only to fade out, fusing the styles.